About Tai Chi is written so many books and video tutorials shot that seemed to add to it something quite difficult. Nevertheless, the "Man of the Year" by the magazine "Inside Kung Fu", Yan Qiu Ming clearly and convincingly shows that the topic of Tai Chi Chuan is not yet fully revealed - and his new work is proof of that. In this book you will learn the basic techniques of the Yang style - one of the most popular in China and beyond. You will be almost 400 pages of the most useful information about the style of his teaching techniques and methodologies. 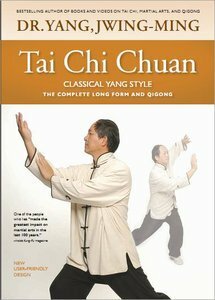 The book demonstrated the basic form of the Yang style, and even then you can find ways of applying the techniques of Tai Chi in a duel, painful receptions and Qigong.